31-650R Bachmann Class 47 Diesel Locomotive number 47 475 Provincial Trans-Penine livery. This model features all-wheel drive, directional LED lights, cab lights, sprung buffers and a wealth of fine detail. Period of operation is late 1980s to early 1990s. 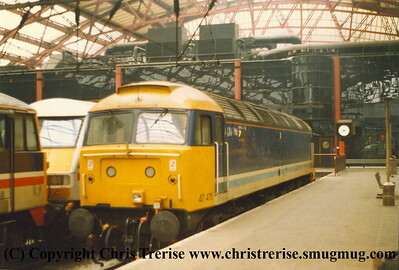 Provincial Services 47475 was the only Class 47 to receive this attractive livery, designed to match the Trans-Pennine Mk 2a coaches used on Liverpool-Manchester-Leeds-Scarborough/Newcastle services in the late-1980s. After these services were taken over by DMUs at the end of 1990, the locomotive transferred to the Parcels Sector but retained its unique livery until 1992.